Today, Bristol City Council is marking the installation of a 97kW solar PV system on the roof of Easton Leisure Centre, as part of Bristol City Council’s commitment to its European Green Capital year. The system is expected to produce enough electricity a year to power 22 homes. Local residents using the leisure centre are able to see how much electricity has been generated thanks to a new display in the centre’s reception. The display helps to put the real-time figures into the context of everyday energy usage. It is estimated that the rooftop generation unit will reduce the energy bill to the council and the leisure centre by approximately £9,000 per year. This is a worthwhile initiative for the leisure centre, which is used by so many in the community. Other than adding to the array of local projects that are helping to make Easton more sustainable, the savings will free up budget to further improve the leisure centre. Investing in renewable energy is one of the most important lasting impacts of our European Green Capital year so I’m pleased to see Bristol City Council make such significant progress. We have much more to do if we’re going to reach our ambition of becoming the first UK city for sustainable energy but we are already leading the way with solar investments like this. With the suggested reduction in feed-in tariffs likely to take effect as of January 2016, Bristol City Council is accelerating the completion of installations on council owned buildings by the end of the year. However, an excellent opportunity remains for high energy users to reduce their energy bills through a combination of on-site renewable generation and energy efficiency measures beyond 2015. Bristol City Council is partnering with a number of public sector organisations and developers to drive this forward at scale. The council is also working with local energy groups involved in the Community Energy installation pilot to register as many projects as possible before government changes are likely to come into effect. The pilot expects up to 18 community centres to sign up for solar PV panels. 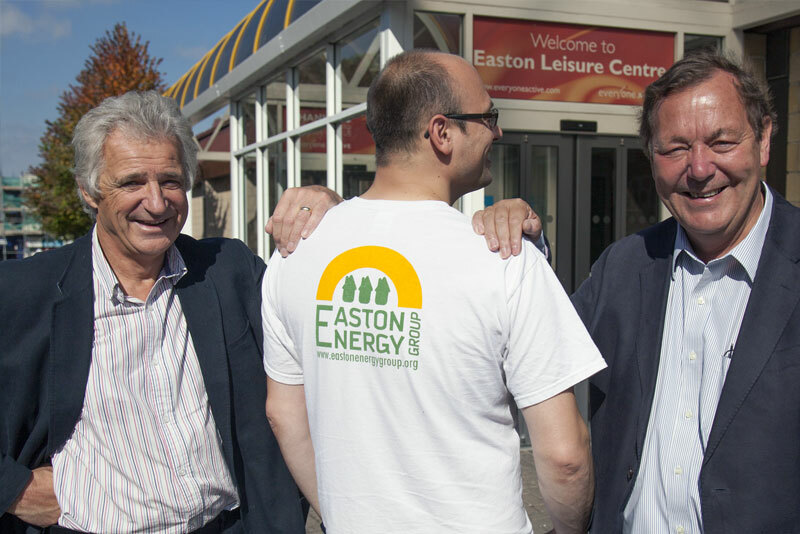 In Easton, local investment was raised for the installation of an 18kW solar PV system on the roof of Easton Community Centre and a 19.8kW system at the Mill Youth Centre. Both projects, undertaken in cooperation with the Bristol Energy Cooperative, have recently been completed. Schools will also have the opportunity to be a part of the European Green Capital legacy through a number of upcoming Bristol City Council initiatives. The council has entered into an agreement with the construction company Skanska to dramatically improve the sustainability of two local schools. Skanska, a Bristol 2015 European Green Capital sponsor, will audit the building and put £20k towards the subsequent investment with the council leading the delivery. The project will involve both solar PV and energy efficiency with the aim of transforming the usage and source of the schools’ energy. This type of holistic energy project follows in the footsteps of the Ashton Park – Exemplar Sustainable School project – which is now entering the procurement phase of the council’s largest school refurbishment project to date. With an 89kW system expected to produce approximately 80,000 kWh of electricity a year, equivalent to powering 20 homes, the school is on course to having the largest solar PV system of any school in Bristol. The legacy of European Green Capital 2015 will continue into the future, with a whole programme of holistic energy projects like Ashton Park to be delivered to Bristol’s schools.